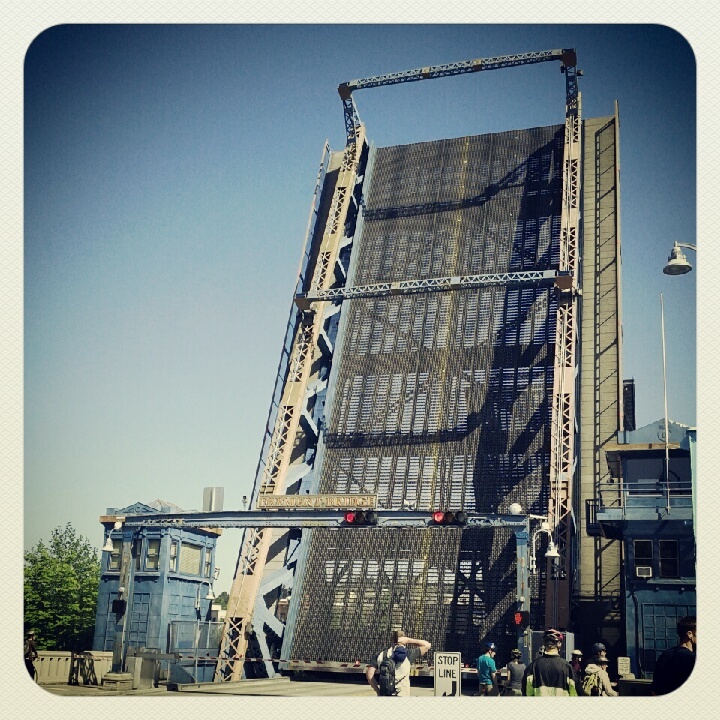 The Crazy blog of Crazydiamond: Great weather! I haven't been posting as much, mostly because I have been immensely enjoying the great outdoors! The weather recently has been brilliant! For the past several days there has been nothing but sunshine and warm weather. I seriously keep thinking I am on vacation in a different place than Seattle. Seriously! My basil plant is actively dying, but I have gotten several caprese salads out of it! For 2.99 at Trader Joe's, that's not too bad. I guess this is just evidence of my brown thumb. Lately, in addition to BBQ, I have been roasting lots of veggies in the oven. My favorite combination is sweet potatoes, onion, red pepper, olive oil, balsamic vinegar and thyme and rosemary. I ran 22.5 miles on Saturday! 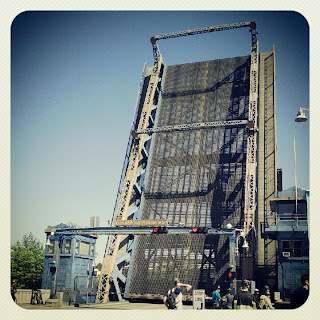 I took a quick breather when the Fremont Bridge went up. In the afternoon, we went out to lunch at an awesome Burger joint with Josh and Ellen. Later we relaxed on a hill near the beach in Madison Park. I got to eat one of the best donuts EVER and also hold baby Pippa who is getting cuter every day. We saw the movie Avengers on Saturday night. It was actually quite good, except that I kept falling asleep during the beginning of the movie. We got there a little early so we grabbed some quick Bubble Tea at Jewel Box and enjoyed it outside. 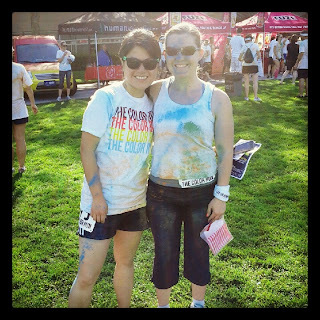 On Sunday a friend and I ran the Color Run in downtown Seattle. This 5k was PAINFUL after my super long run, but it was a blast to get all colored up with cornstarch dust. I would love to run this again next year! 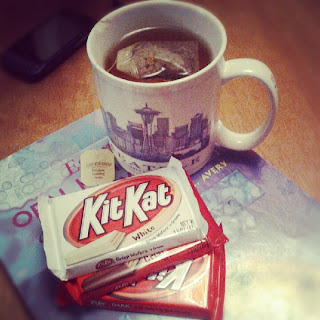 Sunday night was decaf tea, kit kat bars and watching Sherlock. What a great night. I guess before signing off I should mention the awesome Mothers in my life. Annie was celebrated on Sunday dinner with a barbecued salmon and asparagus cooked by Pete and Matt. Hey You! Love the life update via pics! If you repot the basil in extra dirt next time, it might last longer? I'm no garden expert. I'll send you a link to herb gardening that I found on Elise's blog somewhere, I thought it was really helpful. Those veggies look delicious and I can't wait to go see Avengers!